Ever since the invention of credit cards, merchant accounts have become a useful sales tool for every business to have. Merchant accounts provide a huge range of advantages since it opens up your business to one of the most frequently used modes of payment. Nowadays, only a few people carry a huge amount of cash on them. And most of the items being sold have expensive price tags on them that paying it through cash would be quite impractical for the customers. The solution – use credit cards. Businesses can also increase sales by offering attractive payment plans to consumers through credit card payments. In the modern age of Internet marketing, where buying and selling of different products and services are made online. It has become a necessity for business owners to have a merchant account. But despite all these advantages, there are times when using a merchant account gets messy. 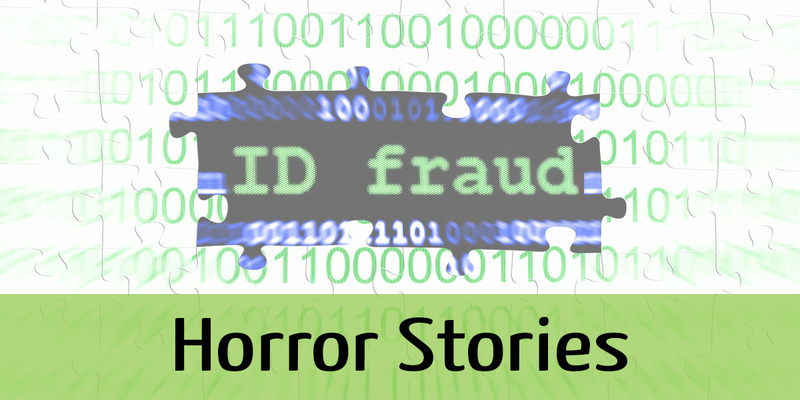 Here are several horror stories of how things can go bad in merchant account processing and some tips on how to avoid them. 1) Becoming hostage to your merchant account provider. An entrepreneur was doing great with several of his online businesses. Sales were going well; he had already established a good rapport with a lot of his customers. It was everything this business owner ever envisioned for his profession. To provide easier payment options for his customers, the business owner decided to create a merchant account with a 3rd party merchant services provider. Little did he know, things were about to take a turn for the worse. After signing the contract with the merchant service provider, the entrepreneur started getting sales calls from the agents of the service provider. The agents managed to pressure the business owner to pay for services that he didn’t need. After suffering all these calls, the business owner got annoyed and decided to get a new merchant service provider. Although he already informed the previous provider of his desire to discontinue their services, provider kept debiting amounts from his account for services he never used. This goes on for several months even after constant communication with the provider about his desire to terminate their agreement. After months of constant pressure to the provider, the entrepreneur, having run out of options decided to file a formal complaint to a business monitoring board. Finally the merchant service provider refunded all the charges they made to him over the years. The solution is simple. Do your research. Find out if the merchant service provider is reputable. You may ask other business owners about their experience with the service provider. This problem can be avoided for as long as you give ample amount of time for research and background check. However, there are times when problems just ambush you out of nowhere. Like what happens in this next story. A lady owned a small buy-and-sell website. Things went well during her first few months in operation. Before she knew it, more and more people were availing of her products. Business was good until she received several notices that she was being billed for charge backs for several credit card transactions. She had become one of the many victims of credit card fraud. The charge-backs had to be paid and to add insult to the injury, she had already delivered her goods to the identity thieves. The use of online commerce has been increasing, and proportionately, so have the cases of online fraud. The identity thieves have been getting their kicks from the expenses of both the credit card owner as well as the online retailer. But online merchant accounts have no choice but to risk this in hopes of bigger profit. Although this situation might be a bit more complicated, it isn’t necessarily unavoidable as long as you take a bit more precaution in handling your online transactions. Here are a few tips on how to avoid or at least minimize the chances of becoming a victim of online fraud. 1.) Tell your employee to call the Authorization Center if they are suspicious of the credit card given, or perhaps the credit card holder himself. 2.) Use Geolocation by IP Address. The Geolocation technology helps you determine if the location of the IP address has a high probability of fraud. At this point, you can add additional measures to authenticate the validity of the transaction. 3.) Check if the phone number matches the address given. Linda was excited to start her online business of selling clothing apparel. Her business has been such a success in her stall but now she wants to expand her venture even further. Her friend suggested going online since that’s the trend nowadays. So with a glimmer of excitement in her eyes, Linda started establishing her online presence. She had finished doing everything from establishing a website to creating a fan page on a social networking site. The last thing she needed to do was create a merchant account. Linda felt like she struck gold. After signing a contract, her business was good to go. Reality struck when she saw her monthly bill with all the hidden charges for services she didn’t know she applied for. Linda had become a victim of merchant account scam. Free merchant account is only one of the many merchant account scams out there. And for new business owners who have no experience, it’s a serious risk to look out for which can lead to your business’ failure. This would be avoidable as long as you can identify the characteristics of a scammer. A little research will always go a long way. Find out if the merchant account provider is legit by actually visiting their office with the right set of questions. If they can’t answer these questions or can only give you vague answers, don’t even bother. Also, read the details of the contract before you actually sign it. This will save you a lot of heartache later on. Have you had your fair share of merchant account processing headaches? What did you do to fix them and how did everything end? We’d surely love to hear about it. If you’re looking for an expert to help you with your merchant account problems, then contact us. We’d love to help you with it. Contact us here.